When I take the kids to Santa each year, I am always disappointed. Not by the pictures of my screaming children, but the whole atmosphere never seems festive enough for me. I have these amazing memories of going to see Santa when I was little. 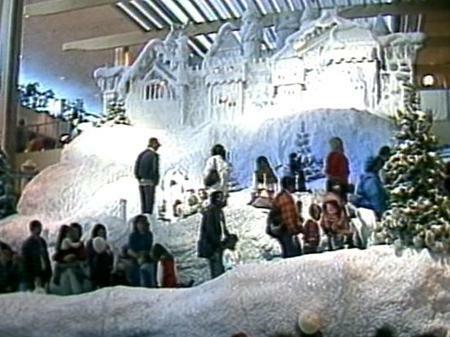 Santa wasn’t sitting on a silly stage, there was a mountain of snow and a monorail and giant Christmas tree. I know that childhood memories are generally larger than reality so I hit the Internet for proof. 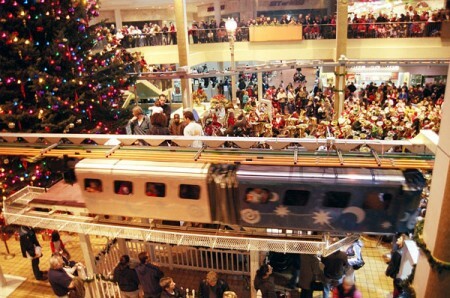 After a few searches for Christmas monorail Rochester, NY I found references to the Midtown Plaza. The Midtown Plaza was the first urban enclosed shopping mall in America when it opened in 1962 and was located in the heart of downtown Rochester, NY. I found lots of stories about Magic Mountain and the Christmas monorail and some pictures. The pictures aren’t great but they support my memories and brought back more details. I had forgotten that the monorail went through the mountain behind Santa and how small the monorail car was – looking at these pictures reminds me how difficult is was to climb in and out of the seats without bumping my head. 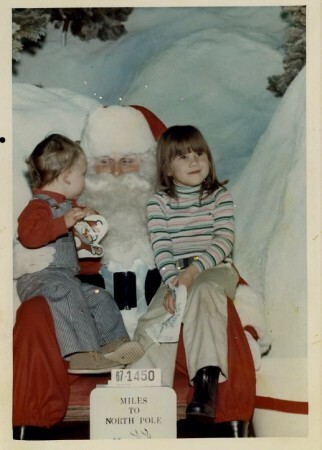 For me this will always be the perfect Santa picture – Jennifer (5-1/2) and Nicholas (one month shy of 3). I am wearing boots because there would have been lots of snow that time of year in Rochester. My brother is wearing his train engineer overalls – he lived in those. My guess is that I am looking at my mom while my brother and Santa are looking at each other. 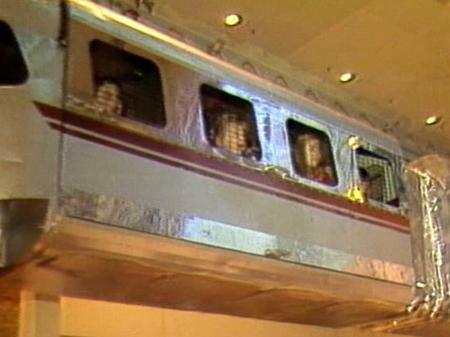 Unfortunately the monorail made its last run in December 2007 and the mall closed in 2008. Is there somewhere magical that I am missing in Pittsburgh or do places like this only exist in childhood memories? I love your memories! And no, you are not expecting too much. It is so hard to recreate those memories today. you are absolutely adorable in that photo! i love that you have these memories. i don’t have anything nearly as wonderful. not that they are bad or anything, just that they aren’t as elaborate. I ran across ypur post while looking for photos of Midtown’s magic mountain myself! 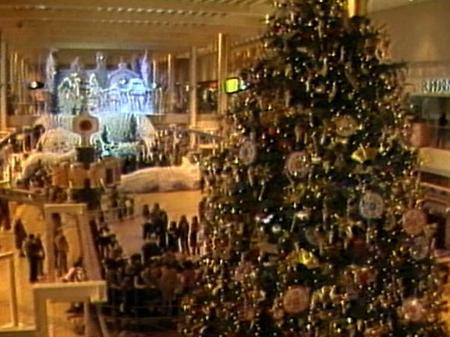 I remember visiting Santa there every year, and now with a little boy of my own I miss all the excitement of Midtown. There’s nothing like that here in NC. Thanks for the pictures!